The first-ever China-Russia co-production, a comedy titled "How I Became Russian," will open in Chinese theaters this week. Co-director Xia Hao told China.org.cn that the film will allow the people of both countries to get to know each other better. The movie, directed by Xia Hao and Akaki Sakhelashvili, is a big-screen adaptation of a popular Russian TV series of the same title. The TV version is about the experiences of an American journalist sent to contemporary Moscow on a long-term work assignment. The movie, on the other hand, focuses on a young man from Shanghai and his relationship with his Russian girlfriend's strong-minded father — perhaps a sort of Chinese-Russian take on the popular American comedy "Meet the Parents." In 2017, China and Russia signed a joint statement on deepening the two countries' strategic partnership, which created a fertile environment for collaboration among filmmakers. "How I Became Russian" is the first film born under the framework of this cooperation. 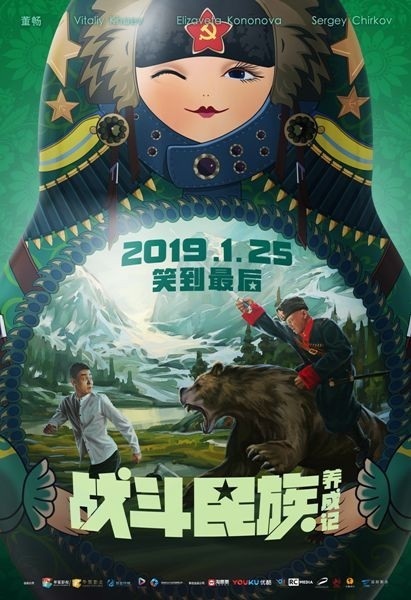 As a significant milestone, the film has received prominent attention in its promotion in China, including an advanced screening at the Embassy of Russia in Beijing, which was attended and supported by Russian ambassador to China Andrey Denisov on Friday. At the embassy event, producer George Shabanov said that the intention of this film is to further strengthen the friendship between the two peoples. Director Xia added, "This is the first film co-produced by China and Russia, but it will definitely not be the last one. I hope to have the opportunity to discover more stories and have more cooperation with Russia." 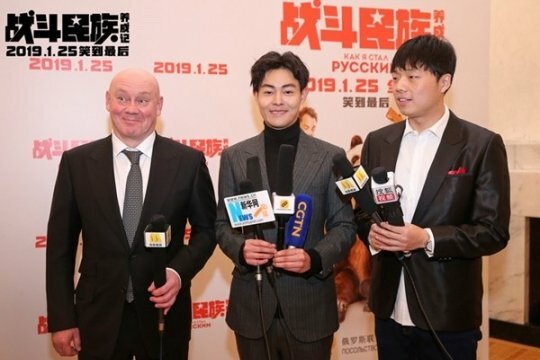 Young actor Dong Chang, who has a starring role in the film, said the funniest part lies in the cultural differences between China and Russia, "but the father and daughter's relationship is universal. Every father in the world loves his daughter in this way." Xia told China.org.cn that he personally admires Russian and former Soviet film, but that in the new millennium Russian film in China has stagnated, while Hollywood continues to expand its influence. So he decided to take on the project to challenge the status quo and to show that Russian film doesn't only mean magnificent war epics, as many Chinese people believe. Xia added that the cooperative project represents the genuine participation of both parties— from script development to on-site instruction to actors' performances: "There was mutual coordination, discussion and effort, 50-50 percent involvement," he said, praising the professionalism of Russia's film industry and claiming he had learned a lot from his Russian collaborators. we have many stereotypes for them. Russians look at Chinese people in the same way, and many ordinary people think China is still in the state of something like the 1960s and 1970s. As a result, when the Russian crew came to China to make this film, they saw a lot of new things, such as Chinese people using WeChat, and they were shocked. They didn't expect China to be like this," Xia laughed. "How I Became Russian" stars Chinese actor Dong Chang, as well as original cast members from the Russian TV series Elizaveta Kononova, Vitaliy Khaev and Sergey Chirkov. The film will hit Chinese theaters on Jan. 25, following its release in Russia on Jan. 17. 797: 30 seconds to mars. 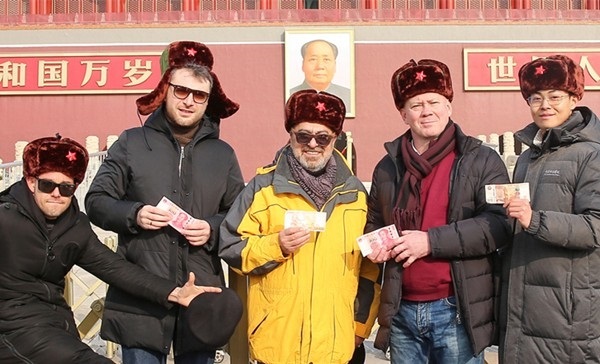 First China-Russia co-production to hit Chinese cinemas16 January 2019: First China-Russia co-production to hit Chinese cinemas! лучшие комедии. First China-Russia co-production to hit Chinese cinemas.